Do you have an interest in finding Energy Efficiency Doors And Windows In Glendale? We know that many of our current and prospective customers want to find just this type of window to place in their commercial or residential building. You should be able to find them conveniently, and that is what you can do when you shop from Intex Windows & Doors. There is a sizable selection of products that you can view in the catalog by going to the easily navigable categories to narrow it down to what you are looking for. This is how it always should be when you need to make a purchase for superior home or commercial fixtures that you will love. Energy efficient products from Intex are both practical and stylish, making them among the best type of home design fixtures you can possibly get. They are crafted with the intent to protect against the elements and keep your air conditioning and heat indoors, depending on the climate in which you reside. You can look through the many varieties and choose which series of window you like, and talk to a representative about any questions that you may have regarding the products. We always welcome you to ask about how to navigate the site, about pricing, installation, and if you don't see what you need. In most cases, we can have a custom made window designed to your specifications. Be sure to let us know exactly what you have in mind to allow us to do our best to come up with something that is as close as possible to your vision. 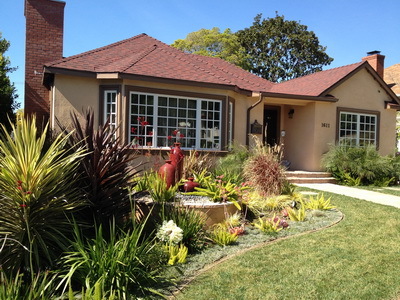 If you need Replacement Windows Burbank, there is a way you can get them quickly and with ease. However, it's important to know how to go about putting in replacement fixtures. You will have to acquire a permit in order to do this in Glendale, as well as in some other towns in the surrounding area. We'll walk you through the steps you need to take to get this started, as we know that it can be complicated to do. Most people are not aware of the zoning codes that are in place, but with our help you will be well on your way to doing everything legally so that you don't end up having any surprise visits and fines to deal with when you just want brand new windows. Some of the major brand names that we carry for windows include Milgard and Fleetwood. They are renowned for their great craftsmanship and the durability that means that these products will last for a long time. For some reassurance on the quality of the windows and doors we carry, you should look at the testimonials from our prior customers. They love what we have been able to provide them, and we know that you will, also. Energy Efficiency Doors And Windows In Glendale will help you save a great deal on your electric bill. They also will keep you from having a headache about heat or cold air transference. You and your family deserve the utmost comfort when you spend money on new windows, and that's what you can have with products from Intex. Many styles and materials are available in one spot, so you won't have to ever make extra trips to find what you want. This is one of the best parts about shopping from our company, though we're sure that you will find many more. For example, you will have the advantage of a full lifetime warranty on the products that we sell. You likely will not need to worry about your windows and doors holding up to the test of time, but in the event they do not operate as promised, you will be covered. You may not know much about energy efficient fixtures, but we have leaders in the industry working on these doors and windows to produce something that you can be proud of having in your home or place of business. All of your guests will be impressed with your amazing choices. Shop for high end products at reasonable prices today. Have you always wanted to buy Energy Efficiency Doors And Windows In Glendale? There are many benefits to doing so. For one, you and your family can experience greater comfort as you will be protected from the outside elements of your regional climate. Intex Windows & Doors is a renowned authorized dealer for the Glendale area. They work hard to make doors and windows that are ideal for the homes and commercial buildings of their clients. If you require something that is customized to fit your budget, as well as a unique size and/or shape, look no further than our company. We also can customize based around the climate in which you live. We want you to have products that will make your life easier and more comfortable, so be sure to think about that when you are shopping for your Replacement Windows Burbank. Once you have these features installed, you will not have to worry about getting more anytime soon since they are extremely durable. We have much more than just residential windows. You can get both windows and doors for commercial purposes, as well as various types of doors for the home such as Patio Doors Sherman Oaks. You will feel as though you are living in luxury with these specially crafted exterior doors. We will send an expert to your house to view what you would like to have done and give you an estimate at no charge. If you are not familiar with the installation process, we can send a local installation specialist to you in order to have your Energy Efficiency Doors And Windows In Glendale placed. Be sure to call us right away with any questions so that you can get the process started.